A new study carried out by researchers from the Institute of Agrochemistry and Food Technology (IATA), a research centre of the Spanish National Research Council (CSIC), in collaboration with researchers from the University of Seville, has managed to decipher how wine and beer yeasts synthesise a bioactive molecule of great interest such as melatonin. The work has been published in the Journal of Pineal Research. IATA researcher José Manuel Guillamón explains that "melatonin, widely known for its sleep-regulating activity, is a molecule that in humans is mainly synthesized in a brain gland called the pineal gland and, therefore, has been considered a neurohormone. Some of the functions in which melatonin is involved are: high antioxidant power, even greater than other antioxidants known as vitamin C or resveratrol, circadian cycle regulating effect, modulating capacity of the immune system, anti-inflammatory effect, inhibition of tumor growth in some types of cancer and protective effect against neurodegenerative diseases Alzheimer's type, among others. The intake of this molecule through the diet can complement endogenous synthesis and provide multiple benefits. 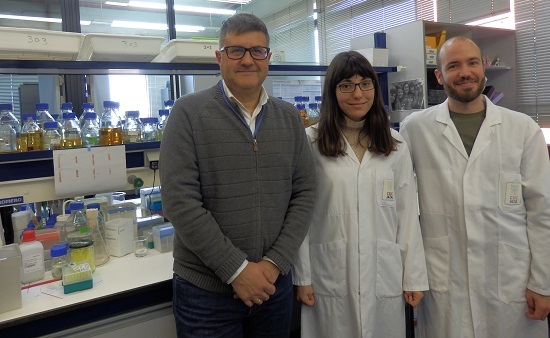 This work arises after the detection of melatonin in wines by the group of Mª Carmen García Parrilla and Ana Troncoso, researchers at the University of Seville. Subsequently, it was found that melatonin levels were higher in wine than in grape must, so it was shown that yeast was responsible for this synthesis. This finding raised many new questions that have been answered with this new study. In plants and animals, the melatonin synthesis route is well known. Its synthesis depends entirely on the essential amino acid tryptophan, and from it derive both melatonin and other molecules, with relevant interest, such as serotonin and N-acetylserotonin. However, in yeasts, the route of synthesis was unknown and it was assumed that it should be similar to that of animals. In order to solve this enigma, the group of researchers carried out this study in which the different metabolites related to the biosynthetic route of melatonin in other organisms were used. Each of the different compounds was added to the medium in which the yeasts were growing so that they could take it and see in what they metabolized it. "In this way we were able to follow the conversion of each metabolite into its derived products and compile the activities that occur during the metabolic pathway. This allowed us to discern the path by which these microorganisms get from tryptophan to melatonin and we saw that it was more similar to plants than animals," says Sara Muniz, researcher of the project. "Now the next challenge is to know which genes are responsible for carrying out the activities by which they convert the different metabolites into melatonin. When these genes are known, it will be possible to consider the production of foods derived from fermentation that are enriched in this molecule with bioactive properties", points out Guillamón. This work has been carried out as part of a national research plan project (AGL2016-77505-C3), in collaboration with the group of Ana Troncoso and Mª Carmen García Parrilla, scientists from the University of Seville, and with the group of Albert Mas and Mª Jesús Torija, researchers from the Rovira i Virgili University of Tarragona.